It is definitely getting harder and harder to sympathize with these brothers for the sake of the fraternity when it is becoming more and more obvious that they want nothing to do with me. "I took my obligations from white men, not from negroes. When I have to accept negroes as brothers or leave Masonry, I shall leave it." Yesterday, the Grand Lodge of Louisiana, F&AM determined that "technicalities" in the filing of the Prince Hall (PHA) recognition resolution prevented it from being accepted for debate and a proper vote. Some have expressed the opinion that it might have passed with a majority vote by the delegates present. It was resubmitted simply as a request for the appropriate Grand Lodge Committee to investigate the issue to determine the regularity of the Most Worshipful Prince Hall Grand Lodge F&AM for the State of Louisiana. However, Louisiana Grand Lodge rules are such that a resubmitted resolution on the day of the grand lodge session requires a 2/3 majority vote before it can be considered for discussion on the floor, and presented for an actual vote on its merits. The vote for accepting the resubmitted resolution failed, preventing the PHA resolution from coming to the floor for debate or discussion. Currently, in the U.S. and Canada, ten mainstream grand lodges have not recognized their predominantly black Prince Hall Affiliated (PHA) grand lodge counterpart: Louisiana, Arkansas, Alabama, Mississippi, Georgia, Tennessee, South Carolina, Florida, West Virginia, and Kentucky. However, last November, the Grand Lodge of Kentucky received a delegation from the MWPHGLofK, which presented a resolution formally recognizing the GLofKY and asked for recognition from them in return. Well, bless they little legalistic hearts. The action by the GL of LA was the correct one. Our constitution provides that there can be only one legitimate GL in the State. 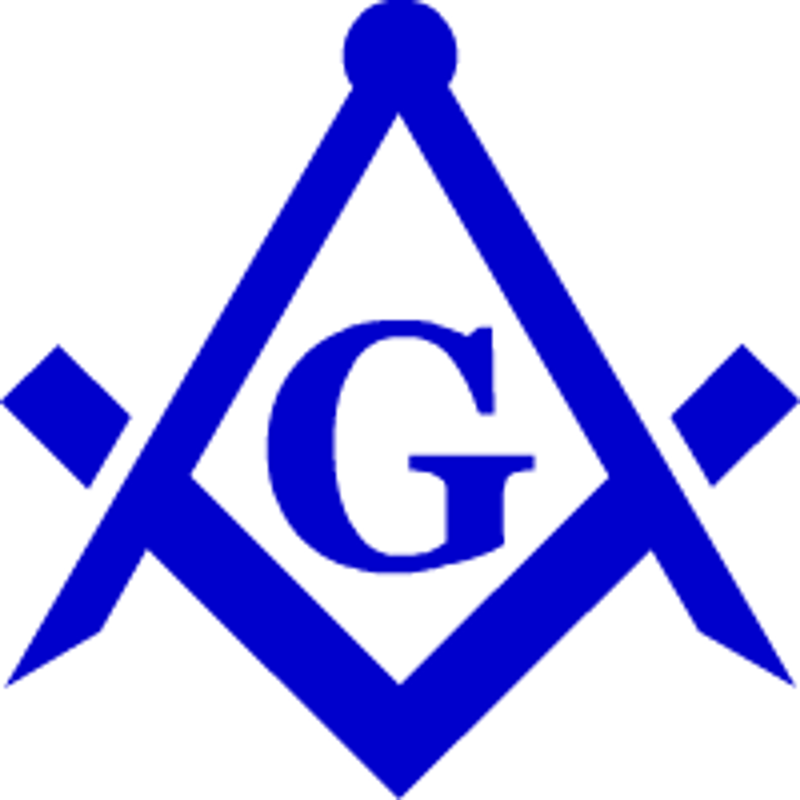 Prince Hall masonry can only be recognized as regular by an amendment to the Constitution of the GL of LA. I do not understand why people in other states are interested in the actions that we take in LA concerning PH. Despite all of the effort made to revise history they are now and alway have been clandestine regardless of the actions that other states may take. recognition of 40 some odd states. Heck, how many "regular" Lodges in the United States are that old? I am a Freemason from a state that does recognize Prince Hall, so I can not dictate as to what goes on in LA. Personally I have had many interactions with our Prince Hall Brothers. We attend their communications and they attend ours. So far, the world has not come crashing down around us. If anything, they have been a well spring of information! Their work, in my state at least, is spotless and old timey (and I mean that in the very best of ways). Of course the GL and all the Brothers there are free to do, think and act as they please. That being said, the rest of the world is moving on. And I hope that my Brothers in LA can come along with us on our journey and quest for light. Thank you for pointing out the obvious to Bobby in regards to the charter from the UGLE in 1784. It always amazes me how people are quick to claim that PHA Masonry is clandestine without having a true knowledge of its rich history. I was raised under the Most Worshipful Prince Hall Grand Lodge of NC, but currently reside in the state of KS. From where did the original lodges in Louisiana receive their charters in order to create a Grand Lodge in 1812? I know African Lodge #459 received theirs from the UGLE in 1784 according to the informaton from the UGLE. I also know that similarly to other mainstream Grand Lodges, African Lodge declared their indenpendence from the UGLE in 1808, question are these mainstream grand lodges clandestine and if so why do the GL of LA recognize them? How was the formation of the MWPHGL of LA in 1842 different than the GL of LA and other mainstream Grand Lodges that LA recognizes? All PHA Grand Lodges can legitimately trace their lineage back to 1784 and the UGLE can you honestly say the same for some of the Grand Lodges that the GL of LA recognize? The chater for African Lodge #459 still exist and has been verfied as the real deal by the issuing grand lodge the UGLE. Brother Bobby what make the MWPHGL of LA clandestine? This is a matter of Freemasonry and not a State, IMO. Freemasonry is a VERB so, let's move and get these brothers regular and communicate on the level asap! Much respect to the GLoLA and all brothers personally dealing with this issue. See you on the level, brothers! The misguided attempts to rewrite history and impose political correctness on the Grand Lodge of Louisiana will fail. It will require an amendment to our constitution for PH Lodges to be recognized as regular in our State, which requires a 2/3 vote of Constituent Lodges. This will never happen. LAFREEMASON and proud of it. If that is so, then why the fear of even allowing the issue to be discussed on the floor of Grand Lodge? 1. I will quote various portions of the “Report From The United Grand Lodge of England Prince Hall Masonry and the Prince Hall Grand Lodge of Massachusetts” and acknowlege that the UGLE did grant recognition. My arguments and excerpts from the report are to show that in doing so they departed from historical precedents and application of their own guidelines. I also wish to point out that the only reason they did so was out of a desire to be politically correct and fear of being called racist. I hold no ill will to PH Masons, but do not believe that long held principles should be thrown aside just to conform to contemorary standards of right and wrong, to do so imperils our existence. b. Therefore by the UGLE’s own definition, PH Masonry is irregular, however they chose to ignore their own definition and chose to grant recognition. I love masonry and have been a member of the Fraternity since 1973. I served as WM of my Lodge in 1976, and have served a Secretary for many years. My home Lodge was chartered in 1893, my Grandfather was a member of this Lodge in 1893 and most of the males including my Father, and all of his brothers, my brother, and many cousins have been members of this Lodge. I can trace my family’s membership in masorny back to 1870. I have been DDGM, have served as HP in the Chapter and IM in the Council as well as DDGHP. I say all of this to let you know that I take my Masonry seriously, and am deeply offended when Masons from other states call the good and honorable masons in my state racist and attemp to interject themselves into the affairs of our Grand Lodge. Do what you wish in your own Grand Lodges and stay out of the affairs of our Grand Lodge. Masons from outside of Louisiana did not introduce the resolution to recognize PHA in your state. And Louisiana Masons with bona fides as impressive as your own make the accusation of racism within your grand lodge. The formation of grand lodges in Massachusetts, Rhode Island and others after the American revolution were just as irregular as the declaration of African Lodge as a grand lodge after its documented correspondence with the Grand Lodge of England went unanswered. And history has shown the so-called doctrine of territorial exclusivity has been absolutely adhered to, except when it hasn't—meaning it has been amended and circumvented by treaty all over the Masonic world. Just to satisfy my own curiosity, and without any hint of sarcasm whatsoever, I honestly ask the question: are black men welcome to join mainstream lodges in Louisiana (and the other nine states that currently do not recognize PHA counterparts)? Leaving aside personal prejudices of individuals who might blackball candidates within their lodges, what are the chances that a worthy, well-qualified black candidate would be voted in to the average Louisiana lodge? The common excuse for not recognizing PHA GLs in those ten states is territorial exclusivity, or claimed irregularity of origin. I realize Louisiana is not Georgia, but in Atlanta last year, the election of an African-American candidate caused mainstream Masons in that state to bring charges against the Master and the lodge. You know your state and your brethren better than outsiders do, so be honest. Would the same thing happen in Louisiana, or are the objections only about Prince Hall Affiliated grand lodges, and have nothing to do with race? Your agrugment concerning who may or may not be accepted in one of our Lodges is spurious, I can not and will not express an opinion on a hypothetical. You obviously strongly advocate recognition of PH, and think that your wishes should be imposed on all Grand Lodges. You say that non recognition of PH is due to racism, but I presented a clear, well reasoned argument as to why I believe PH is irregular. I do not question or impune your motive for promoting PH, and you should afford me and others who share my opinion the same courtesy. Is there a written rule, unwritten custom, or otherwise implied prohibition that you are aware of against black men joining mainstream Masonry in Louisiana? I know that one of the Scottish Rite Lodges in New Orleans has a black member. Any Freemason who act upon the square, who is honorable in their endeavors, and who's character is an example to all regardless of what GL he is a member of is a true Mason. All the divisions we can think of do nothing but pull down the Temple. End of story, the arguing does nothing. This is a very interesting thread. My question for the LA members, and the members of the other nine (9) GLs that do not recognize/accept their Prince Hall counterparts, is whether the rituals in those states contain the statement of purpose for Masonry to "bring together those men who would have otherwise remained at a perpetual distance?" This is a very important purpose for Masonry, as any “serious” attempt to practice its lofty principles would naturally lead to that end. It is strange to my mind that a Craft which articulates such a purpose has allowed itself to fall prey to so many innovations that derogate its purpose. Exclusive Territorial Jurisdiction is one of these not so worthy innovations. The reason why so many Masons and others from outside of LA are expressing concerns regarding the internal affairs of LA, is because the GL of LA appears to be usurping the good name of Masonry under the guise of perpetuating racism. If you do not want to accept all varieties of humanity, as would be apropos in a “Masonic regime,” then don’t call your Craft “Masonry.” Call it something that Blacks will know to avoid, instead of calling it by the name of the most intrinsically inclusive organization that the world shall ever know. The number of titles that a Mason acquires does not speak as convincingly regarding his level of seriousness regarding the Craft as does his actual practice … even if he should become the “Grand Master,” if he cannot countenance “brotherhood” for all mankind, then he is not so serious a “Mason,” in my humble opinion. God bless the good state of LA. I find it interesting that you selectively chose to quote only a section of the UGLE's resolution that recognized PHA..
By the standards of today, the formation of the Prince Hall Grand Lodge of Massachusetts was irregular. In the 18th Century, however, three Grand Lodges in North America were formed by not three but two Lodges, and the Grand Lodge of New Jersey was formed simply by a Grand Convention of Masons. By standards then prevailing, the formation of the Prince Hall Grand Lodge of Massachusetts could have been seen as merely eccentric, and of acceptable regularity. Notwithstanding the unusual transformation of its original Lodge into a Grand Lodge, the philosophy and practice of Prince Hall Masonry today are of exemplary regularity. So while you are free to create your own interpretation of the resolution, please do not mislead by selectivity of what was said because of your misperceptions of political correctness. The UGLE did not ignore nor set aside their own definition. Does the GL of LA also not recognize those other mainstream GL who were formed irregularly? The following was also in the report. "In 1988 the Board was unable to support an application from the Grand Master of the Prince Hall Grand Lodge of Massachusetts, seeking recognition for his Grand Lodge (and in ultimate effect on behalf of some 300,000 Prince Hall Masons in jurisdictions descended from his)." So what transpired in the period from 1988 to 1994 that would have transformed PH Masonry from irregular to regular? "I also wish to point out that the only reason they did so was out of a desire to be politically correct and fear of being called racist." Was this recorded in their proceedings? This seems to be cited almost verbatim on a regular basis on a wide variety of issues. Like it's used as punctuation. In fairness, none of us was too eager to accept Prince Hall until very recently. Also, we don't know what the likelihood of an African American being accepted into a blue lodge in the Grand Lodge of LA. In otherwords, name calling ain't appropriate perhaps. But. Most of the Grand Lodges in the United States have dealt with the issue of more than one Grand Lodge in one jurisdiction. In my state, which is really a southern state, when it came to a final vote about free intervisitation, voted yes with only four nays. Even some of the people who weren't entirelly comfortable with the change voted yes, because they knew it was right, and to preserve harmony. Cell said: "It is strange to my mind that a Craft which articulates such a purpose has allowed itself to fall prey to so many innovations that derogate its purpose. Exclusive Territorial Jurisdiction is one of these not so worthy innovations." The last sentence above is historically inaccurate. A practice of exclusive territorial governance of the Craft pre-dates even the formation of the 1717 Grand Lodge in London and can be traced back at least as far as 1598, as evidenced by the First Schaw Statutes. A practice of exclusive territorial governance of the Craft pre-dates even the formation of the 1717 Grand Lodge in London and can be traced back at least as far as 1598, as evidenced by the First Schaw Statutes. Has anyone ever heard the parable of the two traveling monks? On encountering a woman near a river, one picks her up to help her across. Later, the second monk chides him for doing so, reminding the first that he was in violation of his obligation... er, I mean his vows. The first monk says "I put her down when we crossed the river; are you still carrying her?" Point being that sometimes we encounter situations in which the spirit of the law seems to run counter to the definition of the law. Territorial Jurisdiction was probably a great idea to keep spurious lodges from springing up on every block and poaching members (or potential members) from the more recognized orders. But this is not the 1600s. Hell, it's not even the 1900s anymore, although you'd be hard pressed to tell that from some of our brothers. While a number of offshoot GLs have splintered off from PH, the fact is that the vast majority of PHA lodges all recognize each other and know which ones are which. For any US GL to fail to acknowledge the PHA GLs seems to run against the spirit of universal brotherhood that we so often espouse, especially when 3/4 of the US has already worked through their legal/ethical issues. In response to Drapetomaniac: I am no fan of political correctness but in some circles the term "political correctness" can be used interchangeably with the term "civil rights". If I were to set aside political correctness in regards to myself and state my real concerns here I would have to ask: Is it truly an unjust stereotype that a large percentage of racists in this country are concentrated in states that were once part of the Confederacy? I don't think that the brothers outside of LA who are in favor of recognizing PH are trying to "force" that GL to do anything. We are merely stating our opinions. An opinion that, and I will only speak for myself here, is not driven by any desire to "appear" politically correct or any such nonsense. I hold a genuine belief that turning my back on a worthy brother because of his skin color flies in the face of the most basic tenets of our order. It is very telling when people assume the otherwise. As most brothers the world over agree recognizing PH is just the right thing to do. When I see brothers jumping through so many jurisprudence hoops to avoid extending the hand of friendship and brotherly love to those that deserve it I wonder if they themselves are just cloaking their true feelings behind more politically correct language. What relevance are the "First Shaw Statutes," to any Mason outside of the Grand Lodge of Scotland, and here in 2010? Even as a sovereign, William Schaw would not have been competent to make any law which was binding on any Mason who did not willfully subject himself to such rules. Is it your position that these “Statutes” are binding on the world of Masonry? I am as interested in the history of jurisprudence in other places as the next man, but unless my GL has adopted one of these documents (Shaw's statues, the Regius Manuscript, Andersons Constitutions, Mackey's jurisprudence, etc.) they are only useful as a historical backdrop. Exclusive Territorial Jurisdiction plainly flies in the face of Universality, which is undoubtedly a “Landmark.” Also, if one does accept that such a principle as ETJ had any validity as early as the 1500s, then how can the existence of the Antient and Modern GLs of England be explained two hundred years later? The fact is that Masonry "is what it is." We can always come up with some rule or law to justify what we do ... but at the end of the day, we make the rules the way we want them. Thus, LA and a lot of other jurisdictions may continue to get away with practicing racism under the guise of Masonry, simply by falling on the false doctrine of Exclusive Territorial Jurisdiction, or the antiquated “free born” “qualification.” The rest of the Masonic world can objectively consider such bodies racist, for they have no rational reason for denying recognition to PH. Most of these bodies don’t accept Blacks into their Lodges at all … which is more telling than their failure to extend recognition. At the end of the day, when Masonry states its purpose as "bringing those together who would have otherwise remained at a perpetual distance," we will all have to answer whether or not our GLs are practicing "Masonry" or something else. If when you look around your Lodge all you see is white men, or black men, or Christians, or Muslims … that is not Masonry regardless of how many squares and compasses you adorn it with. Masonry brings together men would have otherwise remained at a perpetual distance … who has your GL brought together heretofore? 501c10's do need to follow the Spirit of Freemasonry. I was just pointing out the error of your claim that said ETJ was an innovation. I see you are still not convinced since you call it a "false doctrine." That "false" doctrine is used by the UGLE and other regular/recognized Grand Lodges until this very day. It is my undersatnding that PHA bodies also use it. Quote "So what transpired in the period from 1988 to 1994 that would have transformed PH Masonry from irregular to regular?" Uhmm, perhaps more racists from a horrible period in American History died? Bro. Bobby, with all due respect, Louisiana has nothing to fear in recognizing PHA Masons as legitimate Brethren of the Craft. By most Prince Hall standards, chances are both you and I would have a hard time meeting their requirements for entrance into Freemasonry. They're Prince Hall Masons, not the Black Panthers. If a man of color petitions a mainstream Lodge for membership, exactly what shade of color does a man no longer cease to be acceptable for membership? It's time to stop worrying about the man of color who lives down the street who tries to live a decent life, worry more about the nut on the other side of the planet who is trying to make a bomb to kill those he hates, and he's an equal opportunity killer, color is a non-issue with him. If there was ever a time for men of good will to stand side-by-side and stand opposed of the evil on this earth, it's the times we now live in. When those flag draped caskets come back from the fields of battle, I've never heard anyone ask what is the color of the valiant one who gave up their life, so that we can remain free. Free and Free-Masons. Palmetto Bug Said: "That "false" doctrine is used by the UGLE and other regular/recognized Grand Lodges until this very day. It is my undersatnding that PHA bodies also use it"
Just becaue we "use" something doesn't make it valid. We cannot change the nature of Masonry by the way we practice it ... we just have an erred practice. For example, you cannot say that "Masonry does not accpet Blacks just because the LA GL does not accpet them." You can only say that the LA GL has that particular flaw in their Masonry. Claiming ETJ is not the only error within PH and other "brands" of Masonry. At least we are making progress. You are no longer calling ETJ an innovation after I proved otherwise. You are no longer calling it a false practice after I proved that it does exist. Now we are down to the root of the matter, which is that you just do not like the practice of ETJ. I can live with that since that is an opinion and all have the right to such. I would be interested to learn why you think that the GL of LA does not allow black men to be members - assuming that is what you are alleging. I happen to know that there is at least one black member in a lodge subordinate to the GL of LA. You'd think that with LA. having the second highest percentage of black citizens in the U.S. there would more than one. I live in Oregon which in 2005 had a population that was 93% white and I know I have seen black, Asian and Hispanic brothers participating as officers in our lodges. I am sure that the State's segregationist past has a lot to do with this. Over generations black men, not being welcomed in mainstream lodges, have naturally gravitated towards PH and their descendants have followed after them thus furthering the divide. On the other hand, if anyone is making the argument that racism is not more prevalent and institutionalized in the South or that racial prejudice isn't a driving factor behind why so many Southern GLs still refuse to recognize PH while the rest of the civilized world has labored to remove these barriers, well, I don't think that anyone is that naive. Regardless of the reason it is sad, that these attitudes continue to exist in the 21st century. Interesting dialogue but can we just cut to the chase? Why does any Lodge care about race? Today, why would any "regular" Lodge care about race as they consider a new candidate? Have you noticed the United Grand Lodge of England's paper on how to become a member? Notice who is front and center on that document - an African (American). I thought I knew what a Lodge was until I attended a Lodge meeting in London. Clearly, all men, regardless of race can be a Mason. I am the filer of the aforementioned resolution to the LA Grand Lodge. I only recently became aware of your blog or I would have commented sooner. You have an interesting thread of comments here, but I would like to just clarify a few things about your original post. First, I did make an error in the filing of the resolution. To its credit, our Law and Jurisprudence Committee requires resolutions to be submitted properly. They did allow me to correct the error, but it was beyond the deadline for "timely" filings and required the 2/3 vote for reception. A copy of the resolution was provided in the advance proceedings and it was the original text that was submitted. The requirement for the 2/3 vote was probably a good thing because it forced the resolution to be considered separately, rather than bog down the reception of the other resolutions. Honestly, the resolution would not have been accepted for debate even with a simple majority. A voice vote was taken and as best as I could tell, only about 25% of the vote was in favor of reception. It is not uncommon in LA Grand Lodge sessions for the delegates to vote to simply not receive controversial or unpopular resolutions. The delegates to LA Grand Lodge do not take changes lightly and I've seen several items be resubmitted for two, three, or more years in a row before they are finally accepted and passed. Even though the resolution did not pass this time, I was pleased by the number of brothers that did vote for it and by some of the positive and encouraging comments that were made in the Grand Lodge session and that were made to me privately. I do plan to resubmit the resolution next year. By then, the delegates will have had time to think about it and discuss it some more and it may fare better. If it doesn't pass then, there's always the following year. Like all true N.O. Saints fans, I know that sometimes you have to wait years for good things to happen. You never answered the question: Does the GL of LA also not recognize those other mainstream GL who were formed irregularly? "...I understand that at the Forum in Prague at the end of April there was a suggestion that there should be an addition to the Basic Principles for Grand Lodge Recognition – that of territorial exclusivity, in other words that there should only be one Grand Lodge per territory or country. That suggestion carried the implication that a Grand Lodge was not sovereign unless it had sole control of the Craft in its territory or country. We do not see sovereignty in terms of territory; to us sovereignty is a Grand Lodge having sole authority over its constituent Lodges and members, wherever they might be situated, and not sharing that authority with any other power such as a Supreme Council. For historical and practical reasons, the Home Grand Lodges and others could not regard exclusive territorial jurisdiction as a basic principle for recognition. For more than 250 years the Home Grand Lodges have shared territory all round the world and continue to do so today. Indeed, in some areas we share territory with a local Grand Lodge formed since the Home Grand Lodges introduced Freemasonry into their territory. In the United States – where exclusive territorial jurisdiction was a principle for regularity – they have had to vary their views, as in many States the State Grand Lodge now shares its territory with a Prince Hall Grand Lodge, as the Home Grand Lodges do in the Bahamas, Caribbean and West Indies. The common factor in all these examples of shared territory is that the sharing is by mutual consent, and that is surely the key. If two or more Grand Lodges wish to share territory, why should we impose an arbitrary impediment on them doing so? A Grand Lodge invading the territory of another Grand Lodge is a completely different matter. Such an action would be intolerable, contrary to all the principles of international Masonic relations, and lay the invading Grand Lodge open to charges of irregularity and the inevitability of having its recognition withdrawn. " The hypocrisy amonsgt Masons with regards to the doctrine of exclusive territorial jurisdiction is amazing to me. I find it funny how in one breath some support the concept of ETJ, however at the same time claim allegiance to a Grand Lodge that recognizes the GL of Alaska, and not the MWPHGL of Alaska which was established in that state over 10+ years BEFORE their MS counterpart. May brotherly love prevail. I have heard this line of reasoning many times. The missing factor, however, is that Alaska was Masonically occupied long before the existence of the GL of Alaska or PHA of Alaska. The GL of Washington occupied Alaska at least as early as 18 September 1869. There were some lapses in occupation after that, but by 1900 the GL of Washington had solidified its jurisdiction over the “District of Alaska.” The territorial jurisdiction of Alaska by Washington was obviously recognized by the other GLs as no other GL chartered lodges there. One also has to remember that – for right or wrong – PHA was not recognized by anyone when it showed up in Alaska. Therefore, a PHA GL in Alaska “did not exist” as far as the various GLs were concerned. There is no hypocrisy involved – only facts. This is an interesting thread. i am a Prince Hall Mason Past Master from Pennsylvania. I am interested in recognition efforts taking place. it is hard to let go of the past.Keep going, keep trying. Well said Brother Scoby! Obviously we have had conversations on this matter and I fear that I am on the verge of compiling a tome on the subject. Like you I have read piles of material on the area under discussion, however, I don't seem as objective about the situation any more. As you recall my first blog was about Mainstream vs. PHA recognition. Then it was a mutual respect thing between us and our similar counterparts, which pissed me off to see that we were thought of as substandard. Now I clearly see that we are thought of as substandard by their Grand Lodge! As you pointed out, between the Revolutionary War and the War of 1812 multiple Grand Lodges were removed from the role of the UGLE. African Lodge 459, which became MWPHGL of Mass, was one of those. Grand Lodges in the United States began to declare their independence from the ruling Grand Lodge in England in the late 1700s. Records show that Prince Hall and his lodge dutifully sent charitable contributions and correspondence to the English Grand Lodge that had chartered them, but never received a reply. I?ll stop there as this is turning into a history lesson. I will say this on the principal subject. We all asked for admission. We all were investigated, circled the lodge room, knelt at the altar. Entered, Passed, and Raised to the Sublime Degree. The entire world over, WE ARE THE SAME. Ever since I was raised from a dead level, to a living perpendicular, on the square by the hand of a friend, whom later I found to be a brother. Hopefully one day we will figure it out. If we don't, none of this is masonry, not really. Relax Bro. I think they, Mainstream, may have a problem with the recognition of PHA due to the fear that their sovereignity may be affected. I like the Pike quote by the way, but his feelings were to be expected... he was one of the founders of the KKK. I have been doing some reading on the history of PHA Freemasonry and I include the term PHA out of respect for my African American Brothers who exzhibited our principle tenants and passed the philosophy and working tools to the next generation which made it possible for me to be exposed to the fraternal brotherhood. Through my readings I've learned that African Lodge 459 name was changed to #370 and in 1813 the Lodge, along with 55 Mainstream Lodges, was dropped from the roll of UGLE for non payment of dues/charity. But unlike the Mainstream Lodges, it took 181 years (December 1994) before the UGLE recognized the legitmacy of Prince Hall Freemasonry. A major excuss for such a long duration is pointed to the complex social make (racisim) of the U.S., but the civil rights act was in 1964. Again I say relax... let your light shine for the mainstream and everyone to see and exzhibit our tenants by the golden rule Bro.